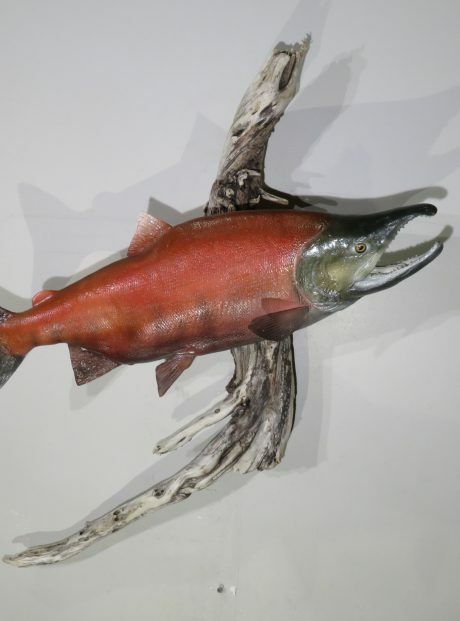 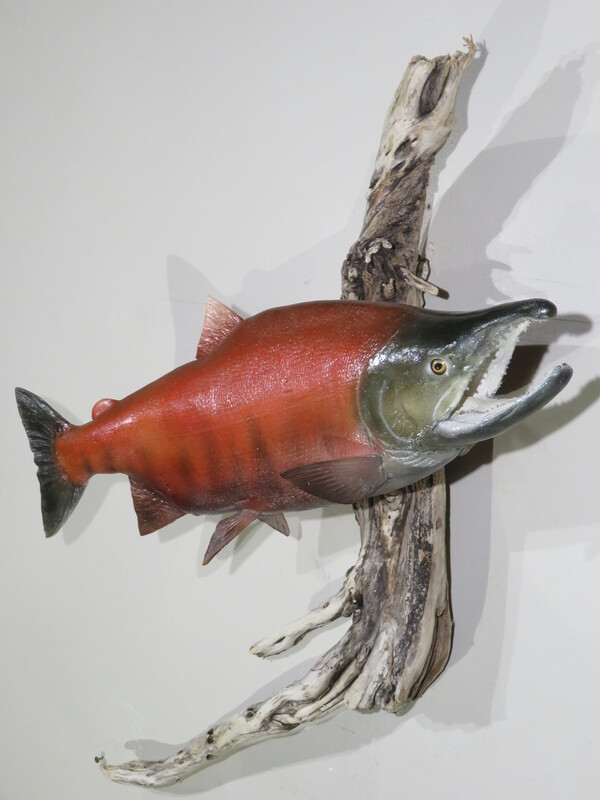 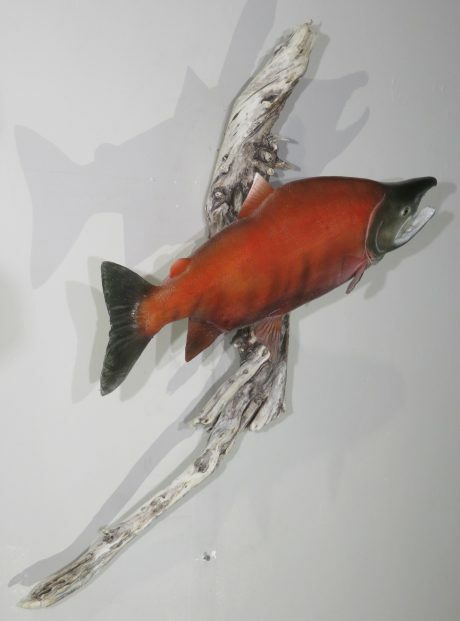 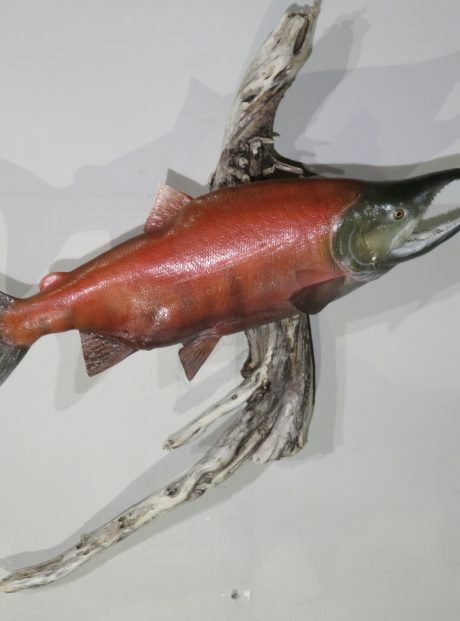 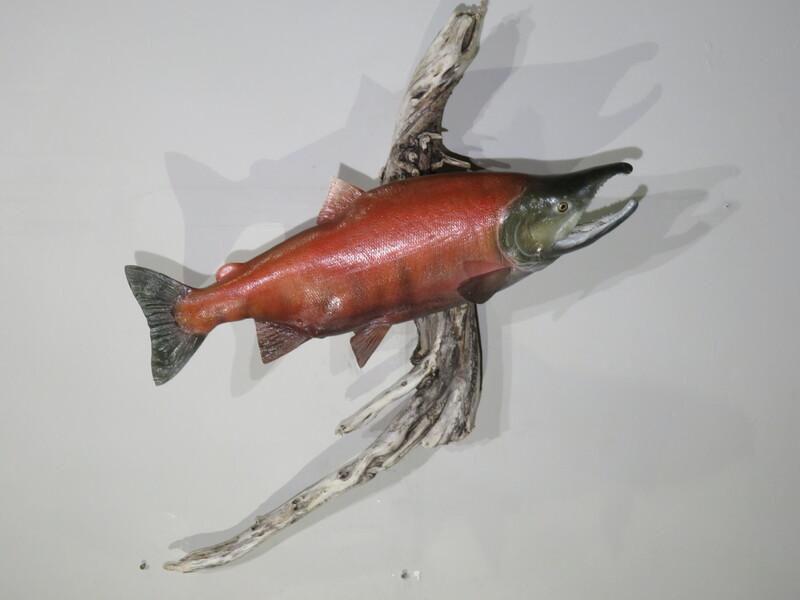 This is a great reproduction mount of a Sockeye Salmon. 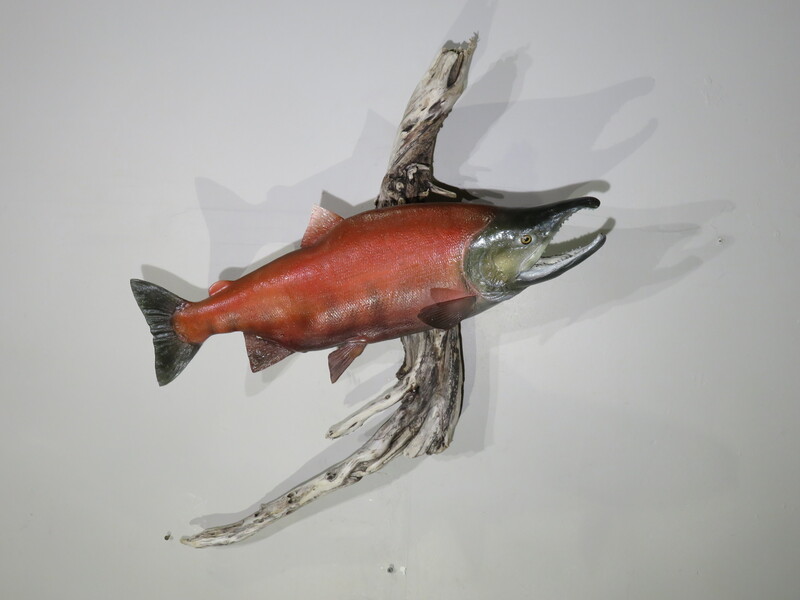 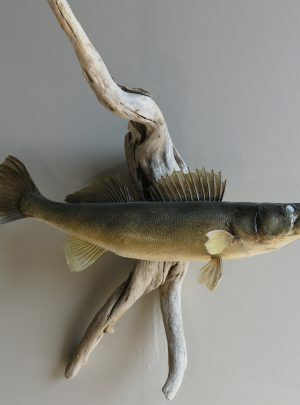 Salmon measures 25″ in length and is mounted to a great piece of driftwood. 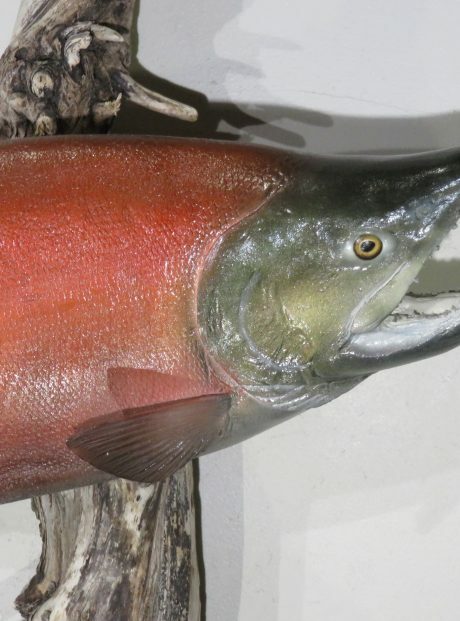 Live weight of this size fish would have been 11-12 pounds. 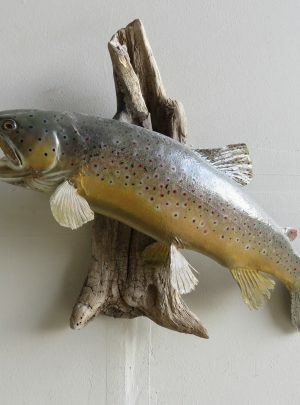 Great coloring and life-like pose. 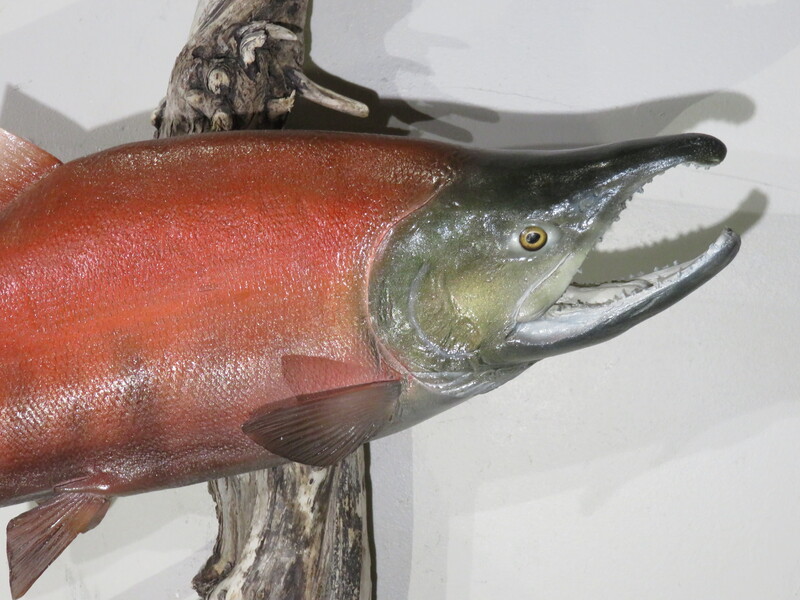 Sockeye are known for their bright red coloring. 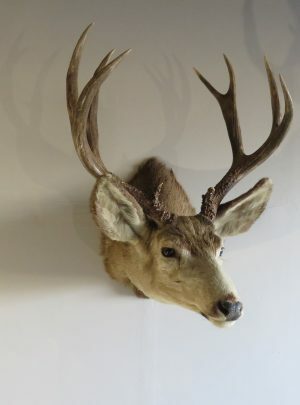 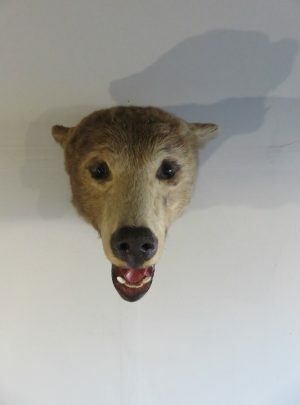 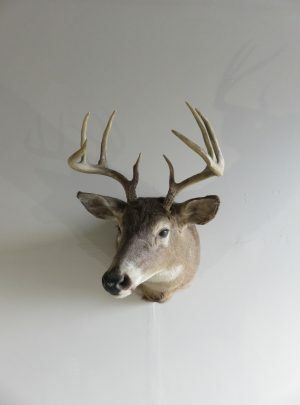 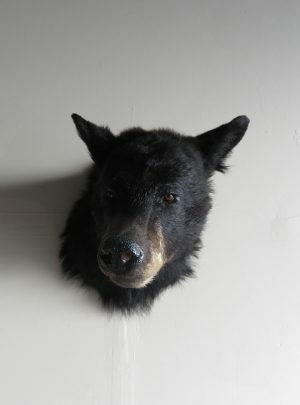 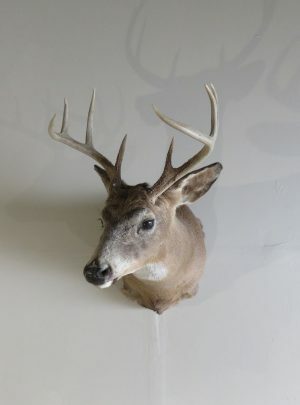 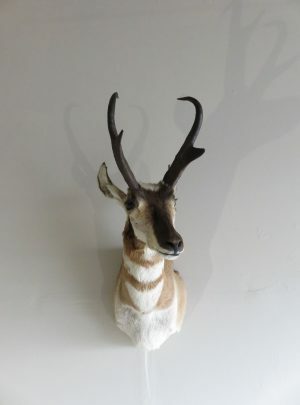 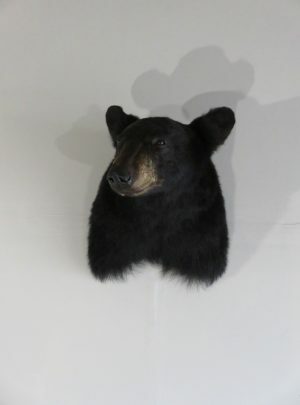 Overall mount dimensions are: 12″ deep x 32″ wide (long) x 34″ high or tall. 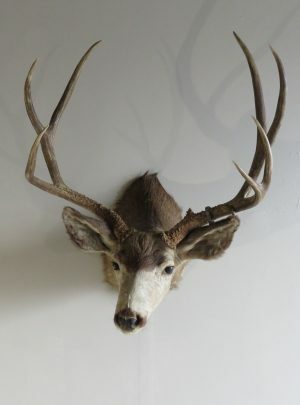 Mount hangs on a single, well secured screw.